BT has been spotted testing Sky Sports 1 and 2 on its YouView platform, six weeks after a Competition Appeal Tribunal verdict paved the way for BT to offer some of Sky's sports channels to its YouView users. 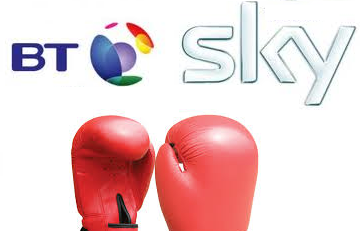 The Competition Appeal Tribunal's verdict relates to Sky Sports 1 and 2, which are part of Ofcom's 2010 'Wholesale Must Offer' provision. Until the verdict in November, BT's YouView platform was excluded. This was thought to be because BT YouView wasn't around in 2010 and Sky didn't want the 'Wholesale Must Offer' widening out to cover more platforms. The matter has been the subject of continuous and complex legal wranglings between BT and Sky. Since the verdict, little information has been provided to customers as to when the sports channels would be made available. At the end of last week, BT YouView users spotted the brief appearance of placeholders for Sky Sports 1 and 2 on channels 501 and 502 on the BT YouView EPG. It's now expected that BT will formally launch the channels shortly on its YouView platform. Rival TalkTalk already offers these channels on its YouView-based service. Currently, BT is offering Sky Sports 1 and 2 to subscribers of its older Vision+ TV platform for £16.50 a month. It's currently not known if Sky Sports 5, which is also available to BT Vision+ users for an additional fee, bundled with Sky Sports 1 and 2, will also appear on BT YouView. Confirmation of the pricing for BT YouView users is also expected shortly. Sky Sports 5 was added to the old BT Vision+ platform in August 2014, thought to be in line with the 'Wholesale Must Offer' provision, as Sky Sports 5 became the new home of some content previously on Sky Sports 1. The 'Wholesale Must Offer' rules has provisions safeguarding other pay TV providers in the event of Sky moving substantial amounts of programmes from Sky Sports 1 and 2 to other channels. Incidentally, new customers signing up for BT are even being offered a box of Cadbury's Chocolate if they order by the 18th December 2014.